It’s farewell for Fleabag. According to The Hollywood Reporter, the BBC TV show will end after its second season. The UK comedy, which streams on Amazon in the U.S., stars Phoebe Waller-Bridge as a grieving, witty woman trying to negotiate adult life in London. The cast also includes Sian Clifford, Bill Paterson, Olivia Colman, and Brett Gelman. 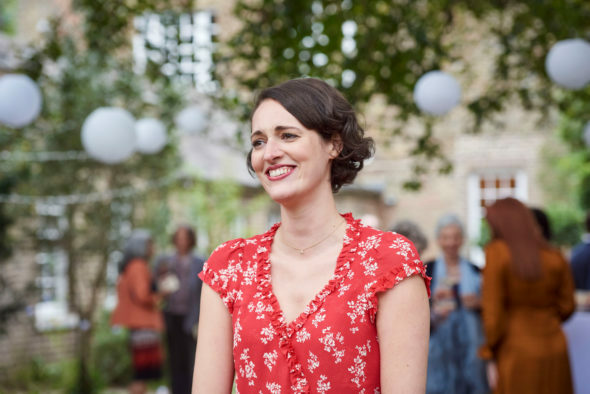 Recently, Fleabag star Sian Clifford revealed season two will be the last for the Amazon TV show. Waller-Bridge has not confirmed the news, but the creator/star did mention last month that season two is the “final curtain” for the comedy. Season two of Fleabag debuts on Amazon on May 17th. What do you think? Have you seen Fleabag? Are you sad it’s ending? More about: Amazon TV shows: canceled or renewed?, Fleabag, Fleabag: canceled or renewed? I`m oh so sad. I found it unusual and facinating. I will miss the show very much.